THE RICHARD AND JUDY BESTSELLER, perfect for fans of The Keeper of Lost Things and Island of Secrets. 'I couldn't put this book down. A real mystery' Amazon reviewer.Abandoned on a bank of snow as a baby, Amy is taken in at nearby Hatville Court. But the masters and servants of the grand estate prove cold and unwelcoming. 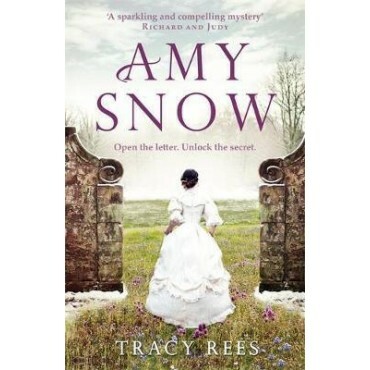 Amy's only friend and ally is the sparkling young heiress Aurelia Vennaway. So when Aurelia tragically dies young, Amy is devastated. But Aurelia leaves Amy one last gift. A bundle of letters with a coded key. A treasure hunt that only Amy can follow. A life-changing discovery awaits . . . if only she can unlock the secret.Discover more from Tracy Rees with her next heartwarming historical mystery, Florence Grace.